On 15 September 2008, Lehman Brothers, a “bulge bracket” investment bank, filed for bankruptcy. That should have been no big deal. The failure of a single, poorly run institution should have had no broader effect on the domestic US economy, let alone the global one. Things didn’t pan out that way. Lehman Brothers was the exception that proved the rule of “too big to fail”. In the maelstrom that followed, policy-makers took the view that an awful lot of firms were now too big to let go. Not just banks, but also insurance companies, mortgage lenders, car companies – even Harley-Davidson, for crying out loud. If policymakers had drawn only one lesson from the tumult of 2008-09, they should have learnt that no firm should ever again be too large to fail. No set of policies will eliminate bankruptcies, but they shouldn’t even try. Bankruptcies are an integral component of capitalism, acting like forest fires: clearing the underbrush to allow renewed growth. So, five years on, just how are we doing? The answer, the truly shocking answer, is that we’ve made no progress at all. Indeed, we have arguably made negative progress. The firms that were too big to fail before are bigger now, and no safer. Since 2007, figures compiled by Bloomberg show that the biggest half-dozen American banks have seen a 27 per cent increase in their combined assets. Sheila Bair of the Federal Deposit Insurance Corporation says: “You don’t really get rid of ‘Too Big To Fail’ unless you convince the market that it’s over.” She calls for the Fed to announce publicly: “It’s over guys… You invest in these banks, you buy their debt, but do your homework because you’re going to take a loss when they go under.” Even Bob Diamond, the former Barclays boss and no shrinking violet when it comes to defending his industry, writes in the Finanical Times that recent regulatory changes have fallen well short of ending “too big to fail”. The facts bear him out. As just one example of a much broader problem, the larger banks carry risks so vast that it is hard even to imagine the amount of capital that would neutralize them. Take JPMorgan. It has long argued that it is one of the best managed, and most safely managed, universal banks in the world. It is probably right … but would you care to guess the notional principal of its on-balance sheet derivatives book? Last year, the firm’s book weighed in at some $71,800,516,000,000, or more than 70 trillion dollars, a few trillion dollars greater than the GDP of Planet Earth. Others – Bank of America, Citigroup, Morgan Stanley, Goldman Sachs – are not far behind. The top 25 banks, some of them British, hold about three hundred trillion dollars of derivatives. And please note that these staggering sums relate only to those derivatives where exposures are held on-balance sheet. I would guess the off-balance sheet exposures are greater than the on-balance sheet ones, perhaps by a factor of five or 10. Now, it’s true that to some extent these things net off. So JPMorgan, for example, will hold trillions of dollars in interest rate swaps that make money when rates move up, and a broadly offsetting number of trillions that make money when rates move the other way. So, these banks would argue, their real risk exposures are a tiny fraction of the nominal amounts. Yet reality isn’t always as clean as theory. Just suppose a major bank were hit by some out-of-the-blue disaster that called its solvency into question. Those trillions of dollars of derivative contracts are made up of a whole heap of densely complex legal contracts, made with zillions of different counter-parties, each of which will be looking to protect their own financial interests. Just how is the sorting out process meant to be done? And just who, in practice, can trust the efficacy, speed and justice of that process? The Lehman bankruptcy process is still ongoing – five years on – and has so far accumulated more than $2bn (£1.3bn) in fees. Indeed, who can trust those banks’ risk management systems? JPMorgan claims to be “best of class”. 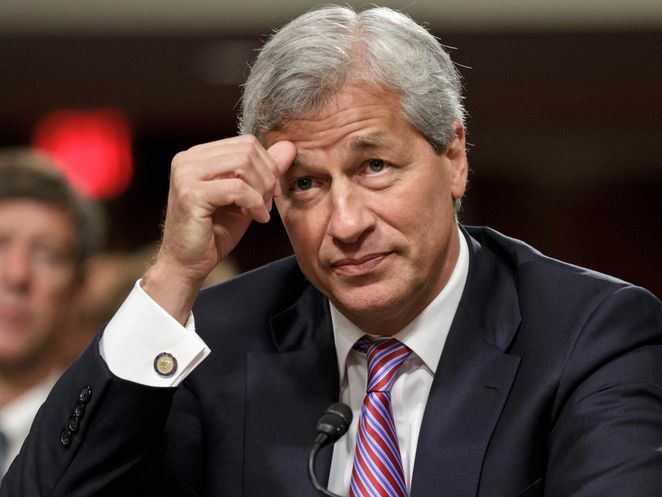 Yet when rumours spread of huge losses emanating from the actions of a single London trader, the bank’s chief executive, Jamie Dimon, dismissed them as a “tempest in a teapot”. That tempest ended up costing the bank more than $6bn. If that’s competent risk management – not simply making losses, but not even knowing that you had made them – then I’m a Dutchman’s maiden auntie, plaits, clogs, cheese and all. It’s not simply me that thinks these things. President Richard Fisher of the Federal Reserve Bank of Dallas used a recent speech to rail against the “injustice of perpetuating financial institutions that are so large, complex and opaque that they … are considered Too Big To Fail. He’s right. The same is true in the UK. The same thing is thought by any sober observer who understands the system, but who hasn’t yet been bought off by it. Too Big To Fail is alive and more dangerous than ever today. Our country, and our democracy, is the worse for it.